When it comes to control panels, the two biggest names are CPanel and Plesk. They have both been around for long enough to become used widely – but what’s the difference between the two? 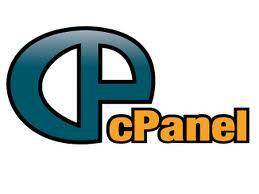 One of the oldest control panel systems around, CPanel had traditionally been the favourite amongst hosts and clients. Though only available for Linux-based operating systems, its user-friendly interface has been especially popular with beginners to manage their hosting accounts. It’s longevity has resulted in applications being developed to install software directly from the control panel, making it easy to use CPanel in conjunction with other content management systems, shopping carts, blogs and wikis. Available for Windows and Linux-based operating systems, Plesk is flexible in terms of DNS features and scripting and is the most popular control panel choice for Windows servers. Also Plesk allows servers to run in a cluster environment, becoming ever-more important with the advent of cloud computing. The user interface for Plesk is considered complicated by many and more suitable for advanced users. It’s really interesting to see two systems which have been developed to perform largely the same task – that is, web hosting account management – and yet operate in such different ways. Conversations comparing the two generally result in the conclusion that CPanel is best for beginners and users of simple websites, and Plesk is best for advanced users looking for more specific control – plus the difficulty in moving from one system to the other in terms of finding functions in the actual interface. The latest conversations about cluster environments and cloud computing though suggest that CPanel needs to address this issue soon for fear of losing its market share in the control panel industry.